“But Jack was restless. 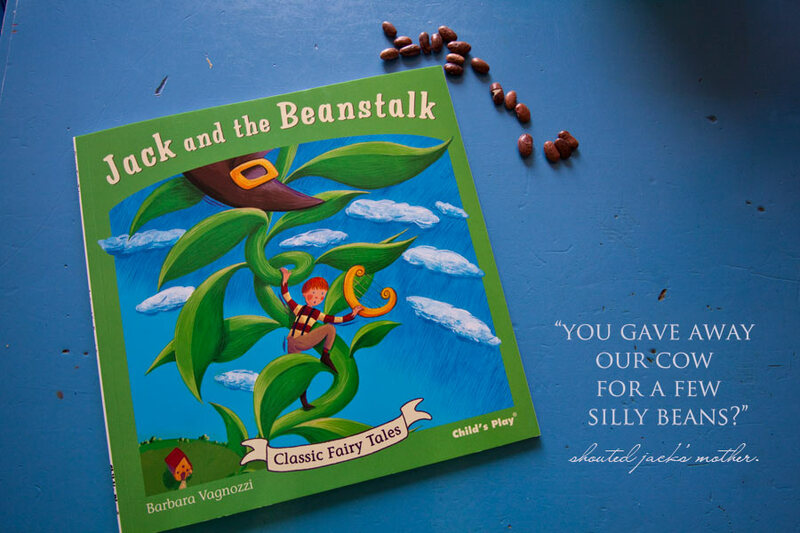 He was keen to find out what else was at the top of the beanstalk, so he climbed it once more.” ~Jack And The Beanstalk, Classic Fairy Tale. It’s that time again!! Weekly Kid’s Co-Op is here! And we want to see all your fabulous activities for kids. Link up at the bottom if you’d like, or just browse through the other blogs to get your creative juices flowing! 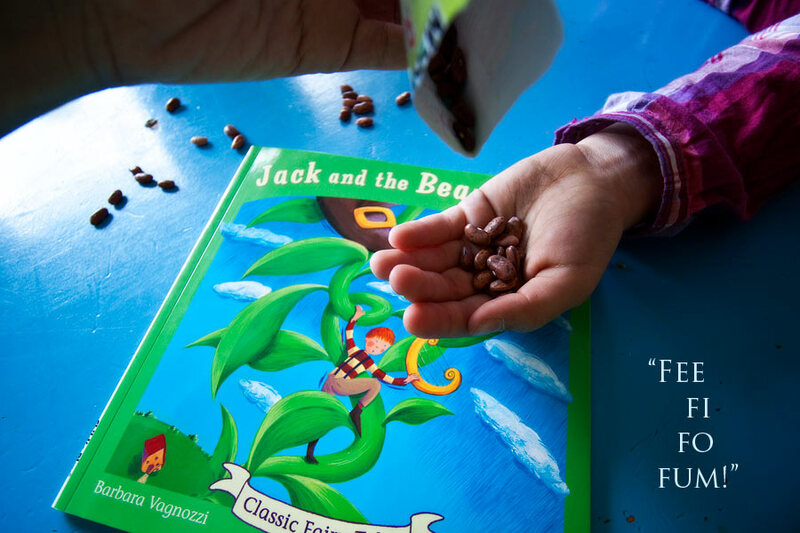 For this week’s Co-Op post, we decided to take Jack and the Beanstalk to a whole new level. 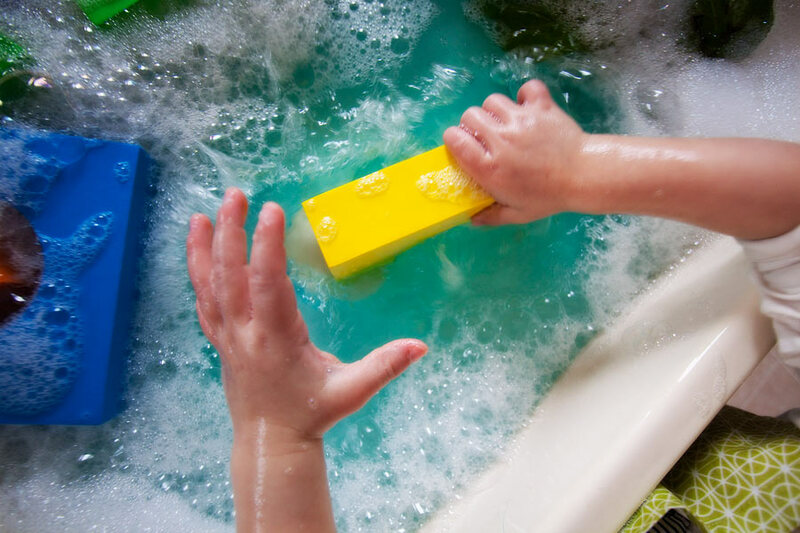 To make the foamy bubbles, pour a bunch of dish soap in a bucket or pot, run water in it and then drain most of the water. 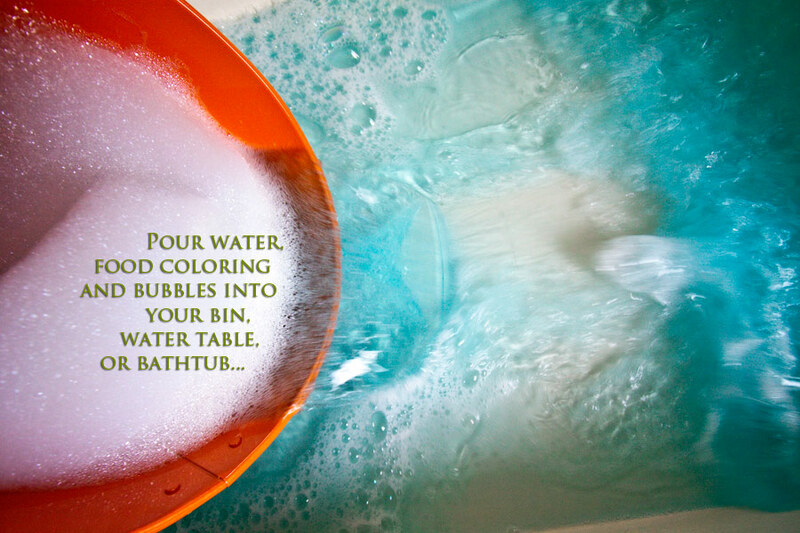 Scoop the suds into your “blue sky” water. I used a stem of greenery from my Mother’s Day flowers for the beanstalk, as our bean plant seedlings have not yet grown big enough. But even the littlest ones were building…and what great practice for fine-motor skills and hand-eye coordination, prediction, and cause and effect! So when you are going through the story books that your kids love, try to think outside the book. 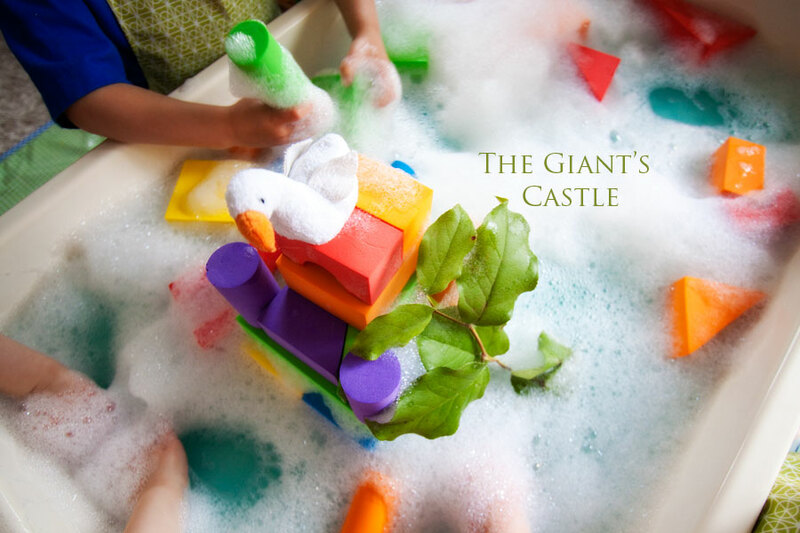 Children love to play make-believe. And they will act out what they see or hear in their world every day. 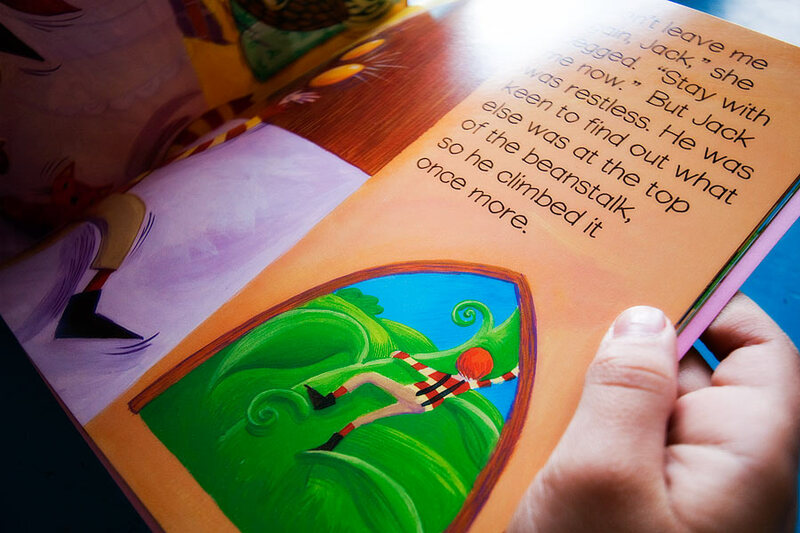 Why not try to steer them toward a little literature play? I am a huge fan of reading. Books are stacked up in corners all over my house. 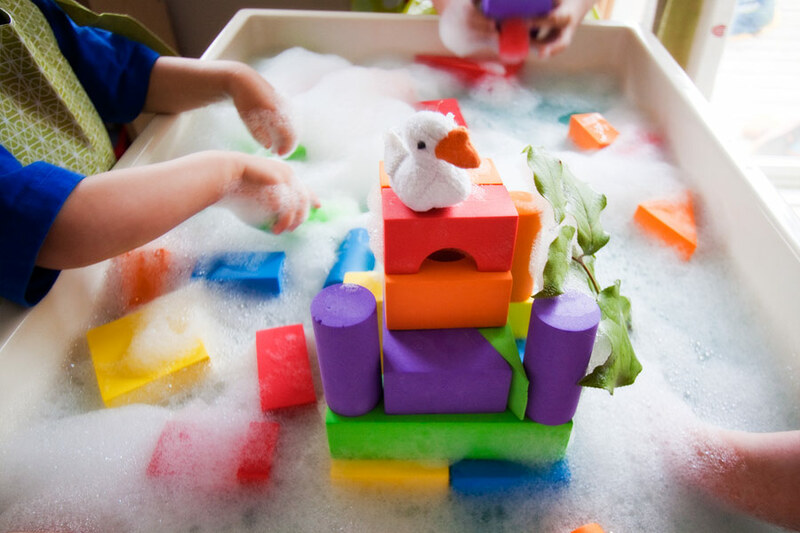 And if I have to make a bubbly mess of my kitchen once in a while to get my kids excited about learning to read, then I will. A hundred times over. Thanks for stopping by, and please link up below if you’d like. It’s as easy as a click of a mouse. 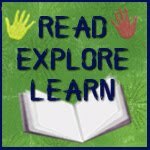 We have also linked up with jdaniel4’smom for her READ,EXPLORE,LEARN series.Click the badge to explore many other ideas for playing and learning with stories! 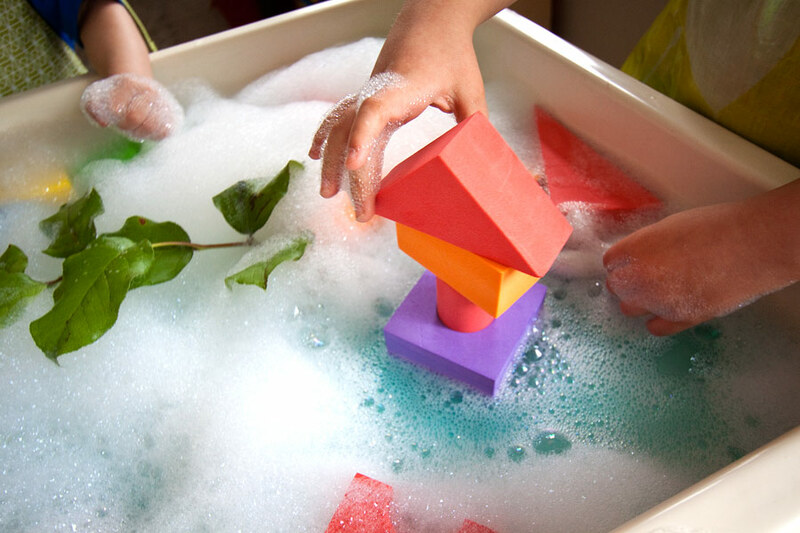 What a fantastic interpretation of a sensory table for this story!! This so creative and something I would have never thought up on my own! Thank you sooo much, Rebekah…it sure was enjoyed by everyone! This is awesome! I love this idea so much that I pinned it, stumble it and tweet about it. I hope you get hundreds of views of this post. It deserves them. Beautiful pictures, I always love book related play! I love this activity! 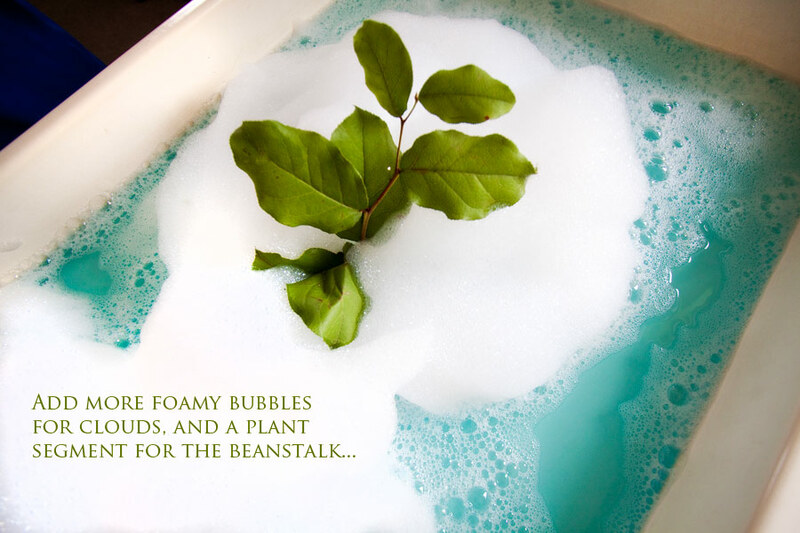 It’s a bubbly, fun way to bring “Jack and the Beanstalk” alive. And your photos are STUNNING. Thank you so much, Malia! I’d love to do a post for your blog! I have a few old classic storybooks that I’ve been thinking of bringing to life again. I’ve never done a guest post before, so the process will be all new to me! What a lovely way to explore a story further. I really need to do that kind of thing with Goblin. Thanks for inspiring me. What a wonderful way to re-enact the story! You’re so creative! 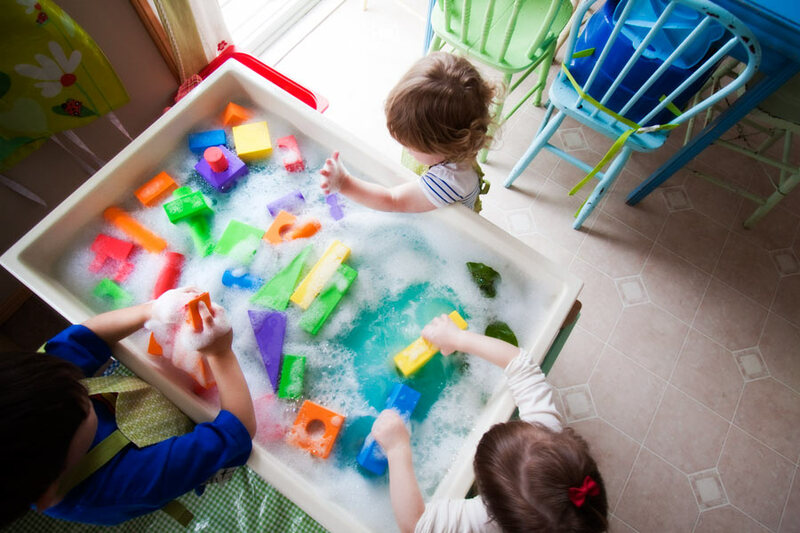 I really love your water table, Arlee! Where did you find it? Thanks, Jackie!I ordered it years ago through Scholastic Teacher’s Store. It used to be plain wood, but it has recently had a make-over, as it was falling apart! It has seen a lot of use over the last 10 years!! So cute, I love it. 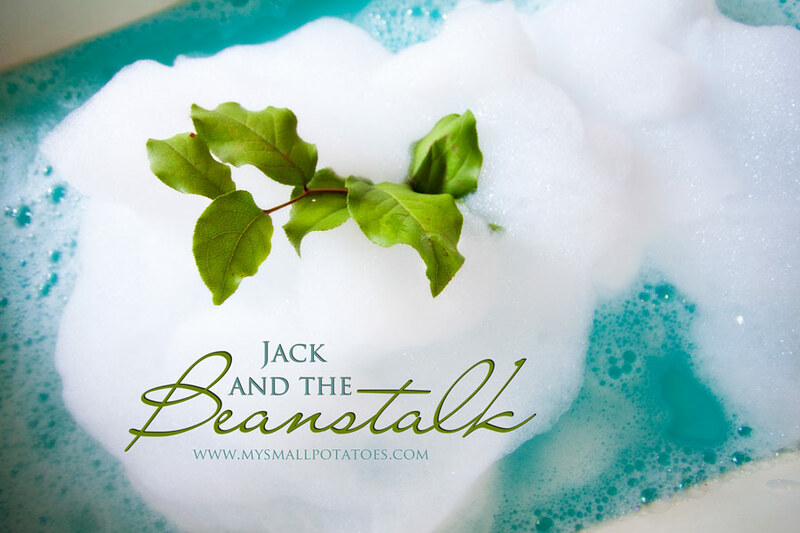 Jack in the Beanstalk was the inspiration for my new blog design. I also love your photography. Thanks so much for sharing. I’m glad I found your blog. Aww…thank you so much! When I get a minute, I’ll hop on over to your blog and check it out! I looooove a good read! Arlee, I LOVE this! I’m bookmarking it for when we do Jack and the Beanstalk in our fairy tale theme. Thanks for sharing!